We receive many types of questions from OEM partners and their clients. However, there are some common misconceptions about antimalware technology that continues to confuse people. This article addressess some of the antivirus myths that are putting people at risk. Some typical comments or questions are: Antivirus software cannot protect you against Advance Persistent Threats (APTs). What are APTs? Malware code is written by antivirus companies to get people to buy their products. Most antivirus sponsored malware reports are unbiased. I have provided some typical questions below, but click here to download a full copy of this free article. While Windows based malware has been the dominant operating system for attacks, it doesn’t mean other operating systems are immune. Most malware writers will spend time writing code to attack devices using Windows operating system because it generates significant revenue and increases their chances of success. However, the Android operating system has grown so quickly in the past couple of years that you can expect more attacks coming from this expanding market. In the future, you will find malware writers becoming more sophisticated in their attack methods by using a combination of both Windows and Android malware to access confidential information. Advanced Persistent Threat (APT) is a term used to evoke the idea of a scary new creature. In reality, APT is not dramatically different from malware that was launched 10 years ago. Current malware writers are very innovative, quickly change their attack methods, leverage criminal underground network, and are focused at generating money or making a statement. APT attacks are generally targeted malware designed to penetrate companies, government agencies, or even political organizations. If you want additional insights about APTs, please read the article titled, "Setting the Record Straight: What’s an Advanced Persistent Threat?" Antimalware companies have evolved using a combination of malware signatures, heuristics, and behavior techniques to capture new, unknown threats, but will not detect all malware attacks. 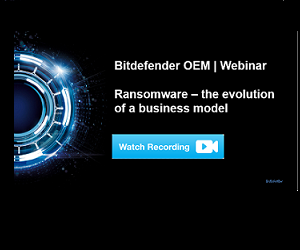 Some antimalware companies detect unknown threats better and more consistently than others. Look at 3rd party testing companies that specifically test for unknown and zero-day malware threats. Companies that specialize in preventing APT attacks generate a lot of revenue, but it is surprising to see that these vendors have not submitted their products for testing by a 3rd party organization, why is that? For most users, the most affordable option is a reputable antimalware program and using common sense while frequently updating devices and applications. Some free antivirus programs offer a basic level of protection, like Microsoft Windows Defender. However, many lack key security features to reduce exposure to attacks, some have slower scanning speeds, others do not provide technical support, several do not quickly respond to emergencies, or do not quickly detect new threat categories. Web protection is generally not included with free antimalware programs. This security feature blocks malicious links, prevents phishing, and stops fraudulent links from compromising your system. Just remember that online criminals want to make money, so they will go after your personal or financial information. If malware is already in your device, then criminals could already be stealing your information, so a personal firewall could block unauthorized communication. 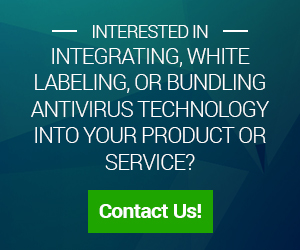 Some free antivirus products offer this feature, so activate it during your enrollment process. Choosing a free or paid antivirus program can be a difficult challenge as you need to weigh out your own privacy concerns and being protected. Third party publications can help narrow down your choices so review articles from publications, such as: PC Magazine, Cnet, AV-Test, AV Comparatives, or Virus Bulletin.